The Gabon striker – who finished the 2016/17 campaign as the Torjägerkanone winner with 31 goals, one more than Bayern Munich hitman and great rival Robert Lewandowski – moved onto 12 for the season with the strike bringing up his 97th all-time in the German top flight. Watch: The first 95 of Aubameyang's 97 Bundesliga goals to date! 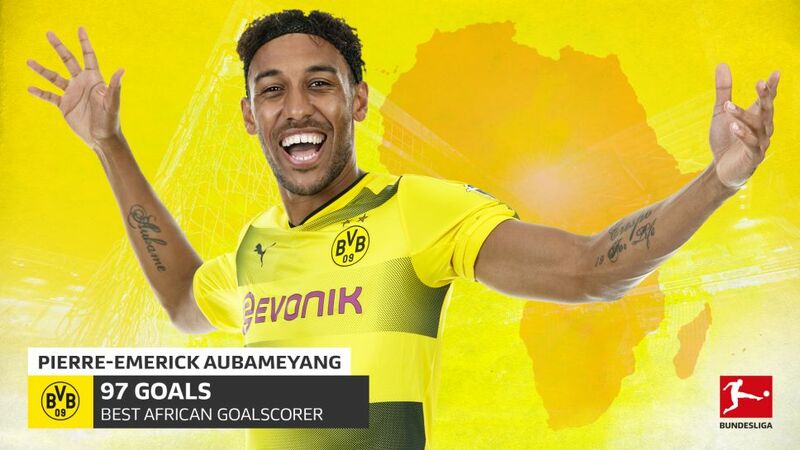 The 2015 African Player of the Year had not scored since the 3-2 loss to RB Leipzig on Matchday 8 prior to his hat-trick in the incredible 4-4 Revierderby draw with Schalke last month, which drew him level with Yeboah. His Matchday 15 strike took him to the top of a list containing some illustrious names.